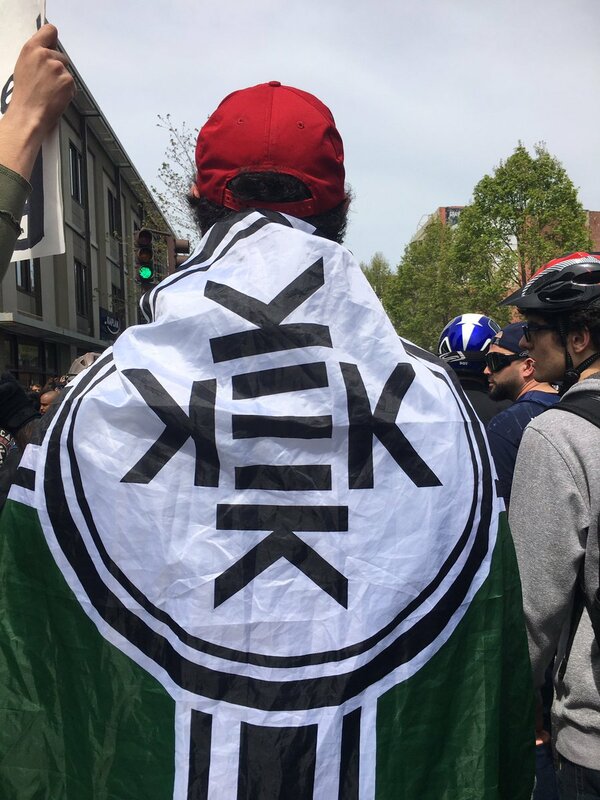 Since Saturday, April 15th, the Alt-Right has been declaring a victory over antifascists in Berkeley, CA, where a mix of Trump supporters, militia members, far-Right bikers, and neo-Nazis gave fascist salutes, held anti-Semitic signs, carried Alt-Right flags, and listened to white nationalist speakers, including one who writes for AltRight.com, the website run by Richard Spencer. But the leader of the rally, Richard Black, a part of the Alt-Right himself, paints a much different picture. 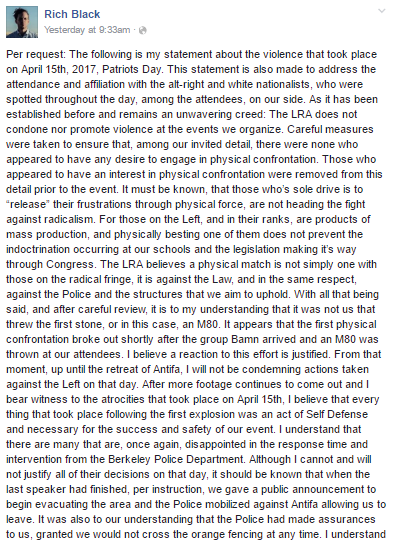 According to a post by Black on the “Free Speech Rally” Facebook event page, Black claims that without the coordinated help of the Berkeley Police Department, who worked over a period of time with Alt-Right organizers, antifascists would have overrun and shut down the rally before it even began. 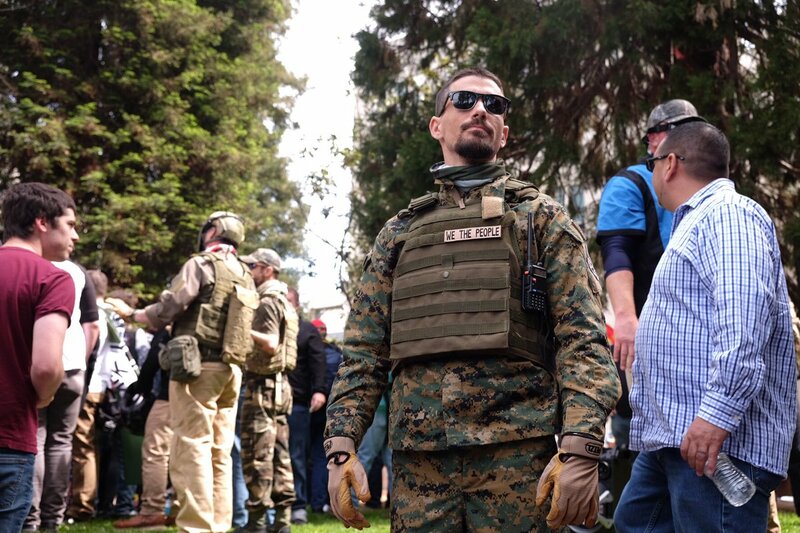 As Black outlines in his reflection on April 15th, Berkeley police worked with the Alt-Right to develop a strategy that both disarmed antifascists and allowed those on the Right to stay armed. Meanwhile, Berkeley police would in turn enforce a permit for the racist rally even though none existed. Furthermore, police also planned to hold back antifascists in order to allow the Alt-Right the ability to evacuate the park once their rally was completed. 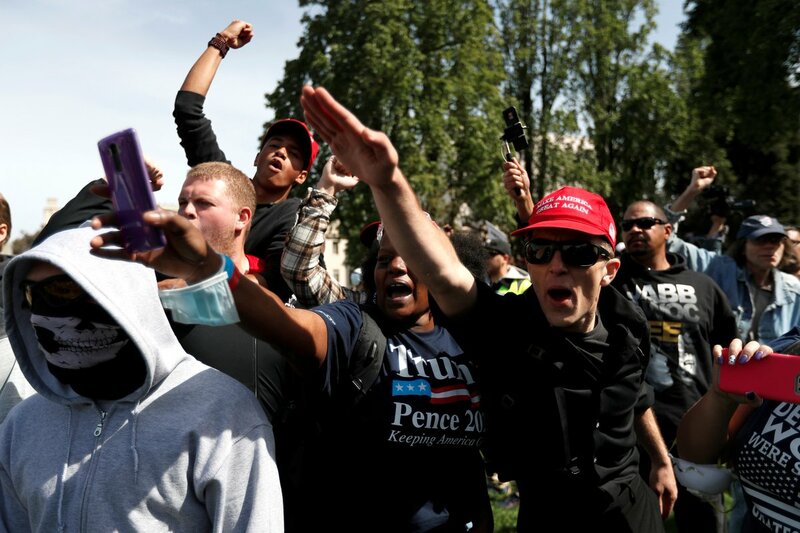 Moreover, Black openly admits that neo-Nazis, members of the Alt-Right, and racists were in attendance at the rally, however makes the false claim that he did not know that these people were planning on attending beforehand. This blatant lie flies in the face of the fact that even the speakers he invited are openly part of the Alt-Right and white nationalist movement and the attendance of various Alt-Right and neo-Nazi groups at the rally was well documented beforehand. The story that Black presents in his own words is damning, as it shows that Berkeley police worked with out of town racists and fascists in order to repress and hinder bay area residents from mobilizing against movements that threaten the lives, freedom, and families of millions in the region. 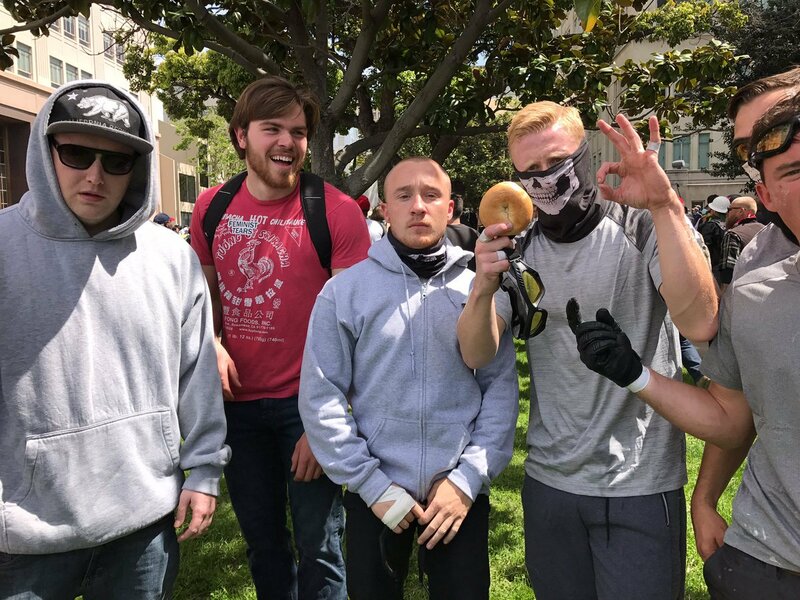 The question remains, what will we do with the knowledge that Berkeley police openly worked with the Alt-Right in order to enforce and protect a fascist rally? This passage in Black’s report tells us a lot. 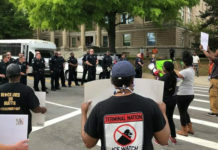 It shows first that police were in dialog with Richard Black and other Alt-Right organizers before the 15th and actively worked to enforce a permit for the white nationalists and the Alt-Right, even though there was no permit for the event. 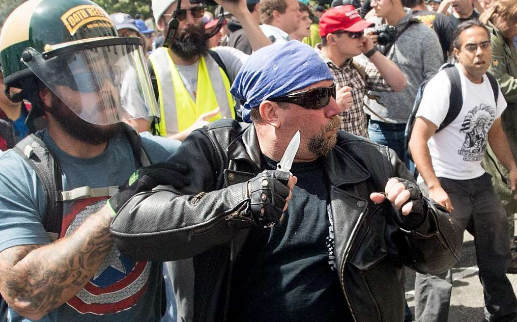 As Black indicates in this report, the plan of the Berkeley police the entire time was for the white nationalist rally to take place and after the last speaker had finished, organizers would signal to police who would then begin “mobilizing against Antifa,” allowing the Alt-Right to move people out of the park. In essence, before the 15th, the Berkeley police agreed to attack antifascists for the Alt-Right, all the for sake of allowing them to have a rally even though they didn’t have a permit. We can only assume that this knowledge of the police working so closely with the Alt-Right organizers was part of the reason that they were able to mobilize upwards of 100 people to the rally, mainly from out of town and out of state. 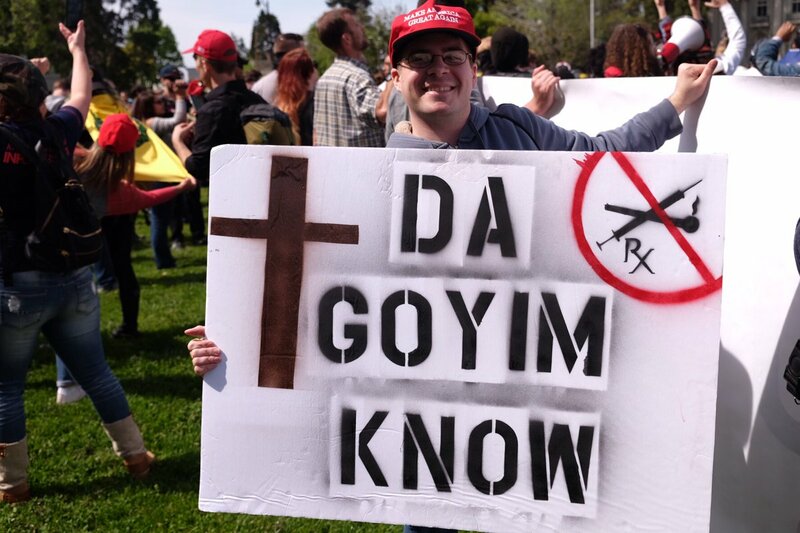 In short, the open knowledge that the police were working closely and protecting the rally – despite the fact that no permit was issued – helped swell the numbers for the event and provide a sense of security for the far-Right. This close relationship between the Alt-Right organizers and the Berkeley police is also documented in other media produced by Black. For instance, in a video update on the night of April 14th, Richard Black and a friend discussed the new ordinance put forward by the Berkeley police and city government that outlined a list of “banned items” from MLK Civic Center Park. Black then went on to state that the police would erect barricades between the two sides, enforcing a barrier. While the list of banned items was made public hours before, it is clear that the knowledge about the dividing of the two groups came directly from the police themselves to the Alt-Right. And while the idea of two “separate but equal sides” sounds fair on paper, in reality what the police did was create a buffer between antifascists and the Alt-Right, who’s rally took place at the fountain and cement area at the center of park. Again, this shows that police were keen on enforcing a de-facto permit for racists and fascists, and focusing their energies on policing antifascists. Again, working for the racists. It was also to our understanding that the Police had made assurances to us, granted we would not cross the orange fencing at any time. [I]f it were not for the Police immediately disarming the first wave of Antifa, whom were in a full charge against us, the event would have been shut down before it began and would have resulted in tremendous blood shed. This reality has been reported on by people who were at the protest and in the numerous pictures of far-Right supporters who openly had weapons on them during the clashes. As Black himself confirms, police more heavily focused their attention on the black bloc and antifascists than they did the Alt-Right, allowing one side to have a much better defensive and offensive position. In short, the police favored a side – the racist side. For the liberals and conservatives alike who bemoan the ‘inaction’ of the police on the 15th, they miss the point. The police had a strategy in place to allow the Alt-Right to attack antifascists. They were not ‘inactive,’ they were simply allowing things to go according to their plan. 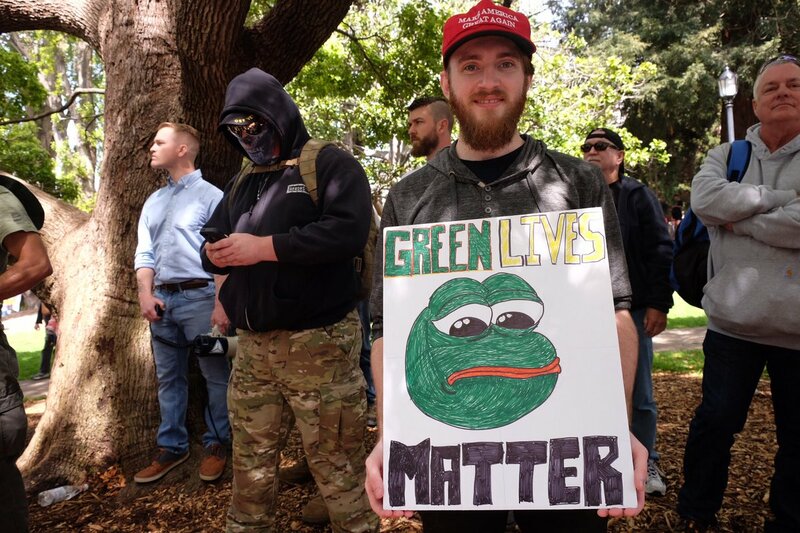 As others have more heavily documented, the people in Black’s inner circle, including Daniel Quillian of Berkeley and Kyle Chapman aka ‘Based Stickman’ of San Francisco, are both fans of, follow on social media, and have connections to, neo-Nazi, Alt-Right, and white nationalist groups, ideas, podcasts, websites, and personalities. 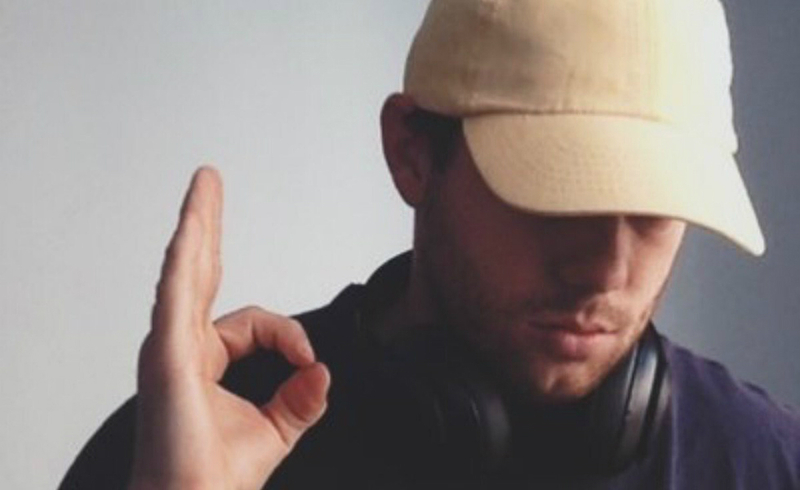 Even Black himself signals his allegiance to the Alt-Right in his twitter icon photo, which shows him making the “Pepe the Frog” hand sign, made popular by white supremacists like Richard Spencer. 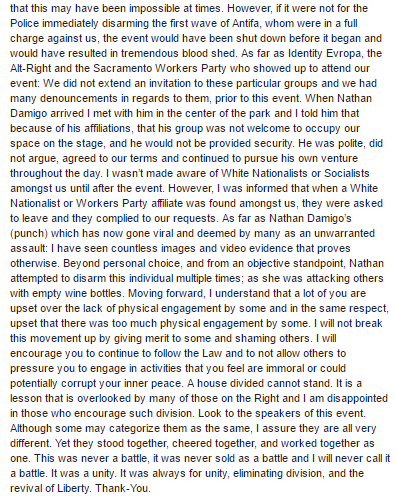 As far as Identity Evropa, the Alt-Right and the Sacramento Workers Party who showed up to attend our event: We did not extend an invitation to these particular groups and we had many denouncements in regards to them, prior to this event. When Nathan Damigo arrived I met with him in the center of the park and I told him that because of his affiliations, that his group was not welcome to occupy our space on the stage, and he would not be provided security. He was polite, did not argue, agreed to our terms and continued to pursue his own venture throughout the day. I wasn’t made aware of White Nationalists or Socialists amongst us until after the event. 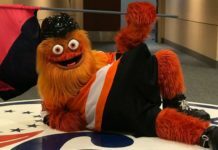 However, I was informed that when a White Nationalist or Workers Party affiliate was found amongst us, they were asked to leave and they complied to our requests. 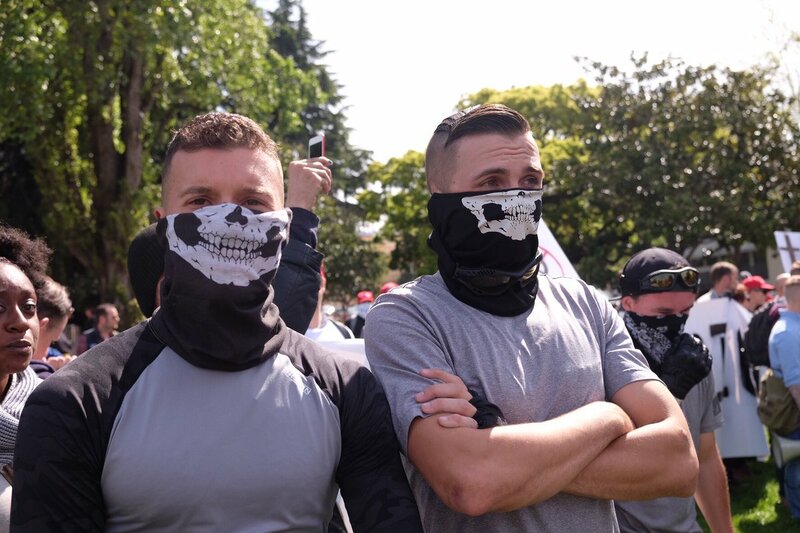 Contrary to Black’s statements, throughout the day pictures from Nathan Damigo’s twitter account show him standing with other members of the neo-Nazi group Identity Evropa along with the Proud Boys, an organization run by Gavin McInnes, in the park right next to where the rally was happening. If Richard Black asked Nathan Damigo to leave, he sure did a poor job of enforcing it. Furthermore, ironically Richard Black makes a big deal about Nathan Damigo coming to the rally, but had another white nationalist (Brittany Pettibone) who writes for the same website that Nathan Damigo does, AltRight.com, speak to the crowd. Other speakers like Lauren Southern and Baked Alaska have a long history of involvement in racist movements and the Alt-Right. Alaska was even kicked out of the ‘Deploraball’ Trump celebration in Washington, DC after making racist and anti-Semitic comments towards Mike Cernovich. One thing is clear after Saturday: Black is coward and a liar. 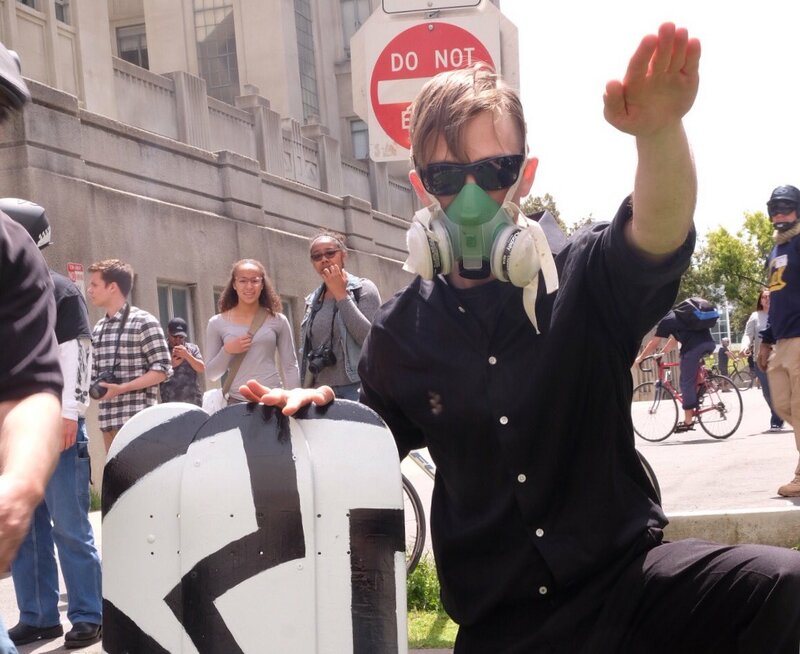 He wants to distance himself from the Alt-Right but then use it’s handsigns on social media. He wants to say he “kicked out” a neo-Nazi leader while allowing another to speak. 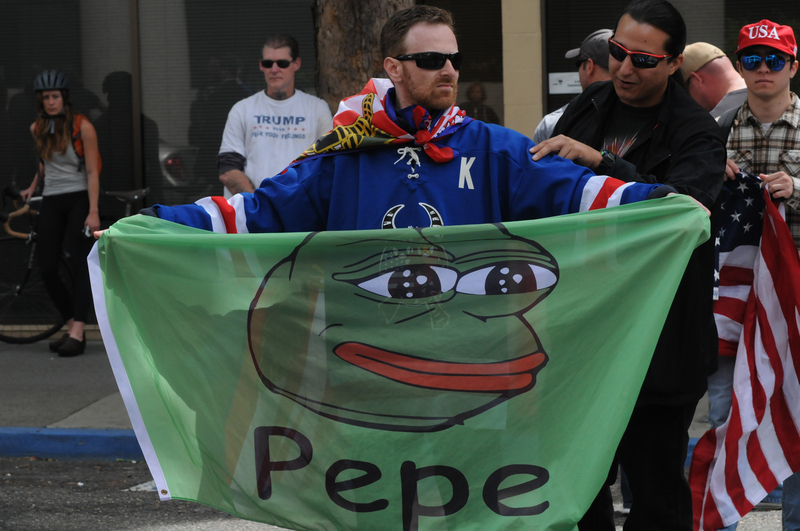 He wants to claim that event organizers removed fascists while Nazi salutes and “KEK” flags flew all around him. 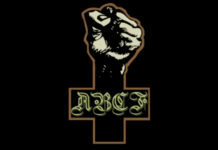 The association with the Alt-Right and neo-Nazis at the rally hurt Black’s image and forced him to address it, bringing to light the internal contradictions of the “Free Speech Rally” among the people who attended. As it has been established before and remains an unwavering creed: The LRA does not condone nor promote violence at the events we organize.Careful measures were taken to ensure that, among our invited detail, there were none who appeared to have any desire to engage in physical confrontation. Those who appeared to have an interest in physical confrontation were removed from this detail prior to the event. 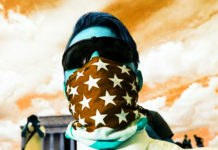 If one remembers, only days before April 15th, Kyle Chapman walked around Berkeley while calling residents “cocksuckers, “cowards,” and “neo-Marxists” before going on to pick a fight with a group of young multiracial skateboarders he called “derelicts.” Chapman also stated that April 15th would be a staging ground for “Western men” to attack the “Islamification” of the West, leading to a greater clash overall. 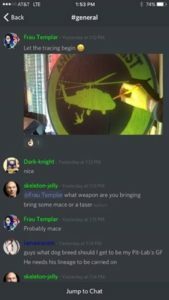 Across social media, supporters of Based Stickman and those coming out to the rally also celebrated and anticipated violence, showing off their various weapons, protective gear, and shields they were bringing. Remember, these are items that were taken by the police from the antifascist side, but allowed on side of the far-Right. 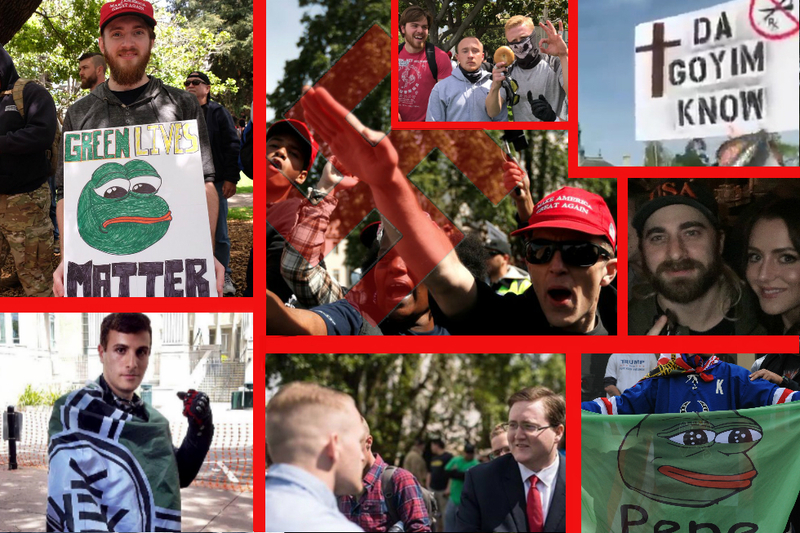 In the fallout to April 15th, the Right has also swarmed to support Nathan Damigo, the neo-Nazi leader of Identity Evropa, after many people drew attention to him punching a person smaller than him in a crowd, then running away. As far as Nathan Damigo’s (punch) which has now gone viral and deemed by many as an unwarranted assault: I have seen countless images and video evidence that proves otherwise. A house divided cannot stand. It is a lesson that is overlooked by many of those on the Right and I am disappointed in those who encourage such division. Look to the speakers of this event. Although some may categorize them as the same, I assure they are all very different. Yet they stood together, cheered together, and worked together as one. Should we be surprised that police worked closely with the Alt-Right in the lead up to the event? No. But we should be angry. We should be angry that law enforcement, an institution that we are forced to pay for with our tax dollars and every court fine, traffic violation, and fix it ticket, worked openly with a group of Alt-Right trolls, militia members, and neo-Nazis. They worked to attack the side of anti-racism and supported the side of open fascism. Again, we should not be surprised. Police in this country kill an average of three people per day. They harass, deport, evict, foreclose on, and bring to court millions, which rakes in money for the State and fills up the prisons. 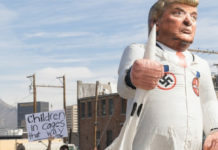 They enforce the structure of white supremacy, from de-facto segregated neighborhoods, to the gentrification of cities, and the repression of political dissents. The police serve the existing order and this is the same order that white nationalists and the Alt-Right hope to advance to their own authoritarian and fascist conclusions. On Saturday, April 15th, the Berkeley police enforced a permit for a out of town group of racists while denying the ability of hundreds of local people to likewise assemble. People shouldn’t forget that. The old slogan still rings true: Cops and Klan, Hand in Hand!